In 1980, Woodbury, New Jersey, was the first town to mandate recycling which quickly attracted the attention of state legislators who then set out to make recycling an important cause. By the end of 1990, most states had responded by creating recycling laws of their own. These laws varied in the details, but they aimed to reduce the amount of waste generated, reduce the amount sent to disposal, and boost the amount recycled. More than 30 years later it is safe to say that those laws did succeed in reducing waste and promoting recycling, but has recently not seen much change in diversion percentages. With reengaged focus on the environment, reducing carbon emissions, and zero waste initiatives, legislators are once again furiously looking to improve recycling rates and are now focusing on the low hanging fruit, food waste. As a country, we have been overlooking the largest sector of waste that is the easiest to recycle with the right solution. Food waste represents the greatest opportunity for many municipalities and if we are serious about diverting waste from landfills it is imperative to take a smart leap towards the right solution for food waste disposal. Many years ago, composting was deemed the only conceived solution, but was never wildly successful or accepted because of the many challenges that had to be overcome; educating the masses, citing and regulatory compliance, transportation challenges, and resale potential. Hiding right under our noses, for much longer than 30 years, are wastewater treatment facilities. Many have already realized that they hold the key to a successful food waste recycling campaign and process. These facilities have the potential to turn the nutrient-rich remnants of waste into renewable energy and compost and many more are now upgrading their facilities to do the very same. Some are even building on to be able to process and treat the excess food waste they anticipate to arrive shortly. In addition to wastewater facilities, anaerobic digester (AD) facilities are slowly popping up in municipalities across the United States to accomplish the same results. Our state legislators are once again setting out to re-promote and re-shape recycling laws to include food waste now that they have a better solution available. Our WWT facilities should be reaching out to those same state legislators to make sure they have secured the available grant funding to upgrade their remaining locations to turn our food waste into a renewable energy. This new approach will achieve far better results than composting has in the past, eliminate food waste disposal at landfills, and increase state diversion goals. It only took 30 years for state legislators to devise a plan that can deliver results. 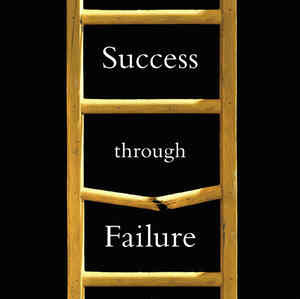 Sometimes you have to fail in order to succeed. Good thing it’s not too late. This entry was posted in Technology and the Environment and tagged Food Waste, Recycling Push, Reducing Carbon, Zero Waste on April 1, 2014 by BioHitech America.